Treasurer, Scott Morrison, delivered his third Federal Budget on 8 May 2018 and the third budget of the Turnbull government, which is the best budget for super for years. 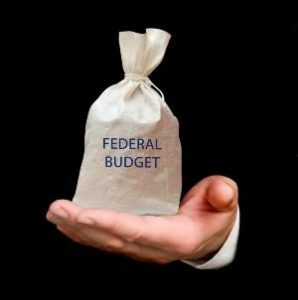 Below is our summary of the Federal Budget superannuation essentials. Effective 1 July 2019, the maximum number of members within SMSF will be increased from four to six, which will allow for greater succession planning. Effective 1 July 2019, for SMSFs with a good compliance record, the requirement for annual audits will be changed to a three-yearly requirement. To be eligible, SMSFs need to have a clear audit history and a record of lodging returns on time for three consecutive years. Effective 1 July 2019, those aged 65 – 74 years will not be required to satisfy the work test in order to make personal contributions to superannuation in the first year that they would otherwise not satisfy the test. To qualify, the individual must also have a balance of less than $300,000. Effective July 2018, individuals receiving combined income of greater than $263,157 from multiple employers can choose to nominate the wages from certain employers not be subject to compulsory SG, to avoid excess Contribution tax and shortfall charges (SG > $25,000) and can also negotiate to receive the SG from those employers as additional income and taxed at their marginal tax rate. Note: that a SG ‘maximum contribution base’ of $54,030 per quarter (annual equivalent of $216,120) applies for 2018-19. An employer is not required to provide the minimum 9.5% SG on its payments to an employee above the maximum contribution base. a requirement to transfer all low balance inactive superannuation accounts to the ATO. Effective 1 July 2019, an integrity measure for minors receiving income from testamentary trusts will be introduced. The concessional tax rates available for minors receiving income from testamentary trusts will be limited to income derived from assets that are transferred from the deceased estate or the proceeds of the disposal or investment of those assets. Income received by minors from testamentary trusts is currently taxed at normal adult tax rates rather than the higher tax rates that normally apply to minors. Effective 1 July 2018, employers with 20 or more employees will report payments such as salaries and wages, pay as you go (PAYG) withholding and superannuation information from their payroll solution each time an employee is paid. For employers with less than 20 employee, this will be introduced from 1 July 2019. Alert on the tax return to tick the NOI box next to the personal contribution claim. If the NOI form is not filled out, the ATO may deny the personal contribution tax deduction. SMSFs not taxing the personal contributions at 15%, but individuals claiming a deduction in their personal tax return, meaning no tax is paid at all. ATO to provide guidance on how to comply if NOI not completed and forwarded to respective super fund. Disclaimer: The information contained in this document is general in nature only. Professional advice should be sought before acting on any aspect of this document. Liability limited by a scheme approved under Professional Standards Legislation other than for the acts or omissions of financial services licensees . TAG Financial Services Pty Ltd (ABN 67 075 374 686). Next PostNext Do More Members in a Fund Mean More Opportunities?